Who hasn't uttered the words "I need to learn to relax"? But how accurate is that catchphrase? Being relaxed is not a personality trait - it's a set of learned skills. In Simply Relax, physical and mental disciplines are presented in a clear and friendly fashion, complete with color illustrations, to show readers how to attain this often elusive state. By offering a repertoire of approaches that combine Eastern and Western techniques, Simply Relax teaches the art of patience, calm thinking, time management, and inner peace, so the reader can learn to enjoy life's pleasures and keep worries in perspective. Beautifully illustrated and filled with inspiring advice, it is a complete guide to realizing the potential for feeling at ease with oneself and others. 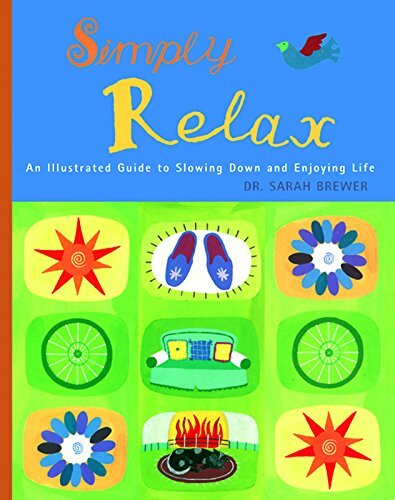 The recipient of several writing awards, Dr. Sarah Brewer has created a self-help course for stressed executives, and contributes a health column to a daily newspaper. Her books include "Simply Relax," She has also run several relaxations seminars.